I'll be the first to admit that I rarely drink enough water each day. Whether I'm too busy drinking my favourite juice, or just being forgetful, hydration is not my forte. The times when I do drink enough water, I always notice how amazing my skin looks (if I do say so myself! ), but any time I make a conscious effort to drink more, it always fails miserably. Enter the naturally flavoured water. For the past couple of weeks, things have been different. 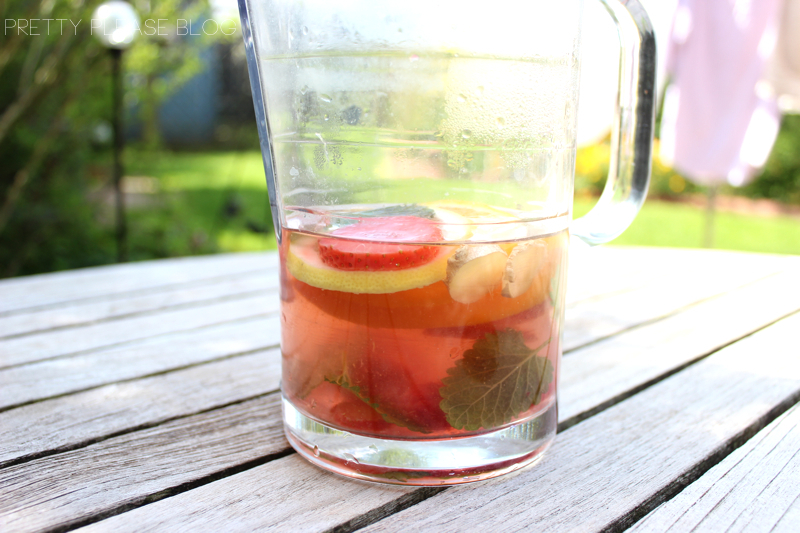 I've taken to filling up a jug of water each morning with a selection of fruit inside to flavour my water. It even makes a tasty alternative to fruit juice in the morning! 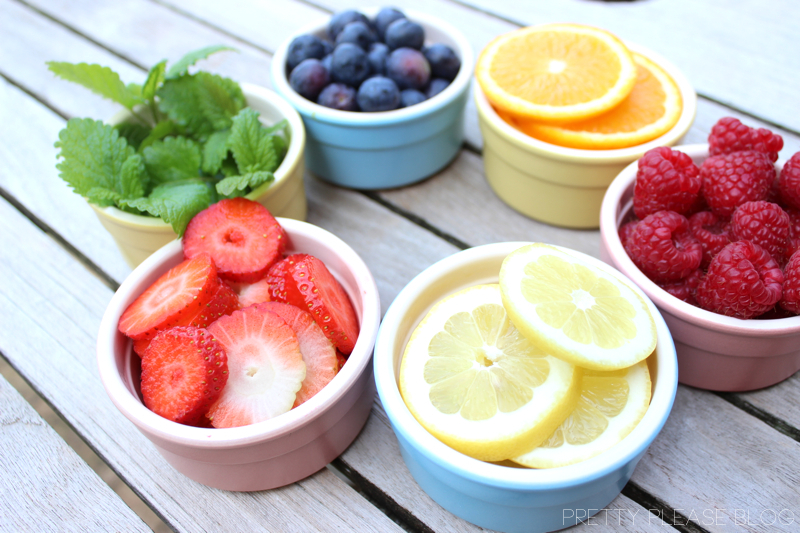 The best bit is that even with just a few different types of fruit, there are so many combinations of flavours to try! Why go for boring ol' lemon when there's a plethora of fruit down the road at Tesco?! I decided to whip myself up a truly fruity water concoction for this post - it just goes to show what a beautiful treats you can make from some simplest of ingredients. While I'm sure there are lots of ways to do this, I like to start by chopping up my fruit (this will start to bring out some of the flavours) and chuck them in the bottom of a jug. Then I pour boiling water in until the fruit is just covered and leave it to 'brew', this will also help to spread the flavours more quickly. 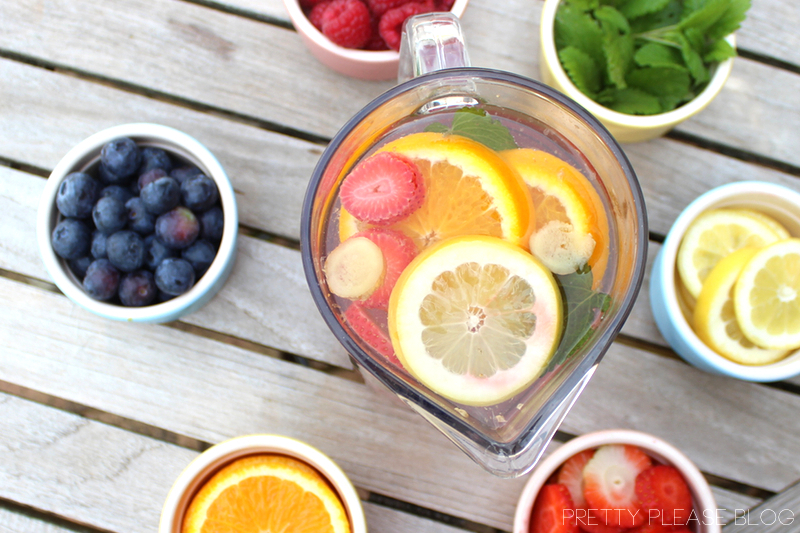 For this jug, I threw in some orange, lemon, strawberries, raspberries, mint & ginger. Yum! Once it has sat for about ten minutes, fill the jug up to the top with cold water. You can leave it to sit for longer if you want a truly flavoursome treat, but this usually does it for me. Once empty, you can even use the same fruits another time over. I rarely see such a wide range on offer to pop in your drinks, but I think that it would be a lovely touch to have a little buffet of fruits, veg & herbs for guests to add to their drinks at a summer BBQ. So why not give it a go? I have to say that after having tried this, I genuinely want to drink more water and can't wait to make up a fresh jug each morning! How are you at getting your 2L of water a day? What else could you try flavouring your water with? I've never actually tried flavoured water (other than just lemon water). I will definitely try it though! Thanks for the idea! Hello, I nominated you for the Very Inspiring Blogger award. 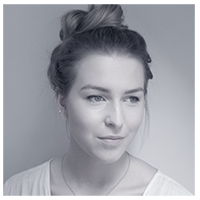 You can check it out over on my blog. Flavoured lemonade is the best too! This looks so delicious, will have to try it soon.